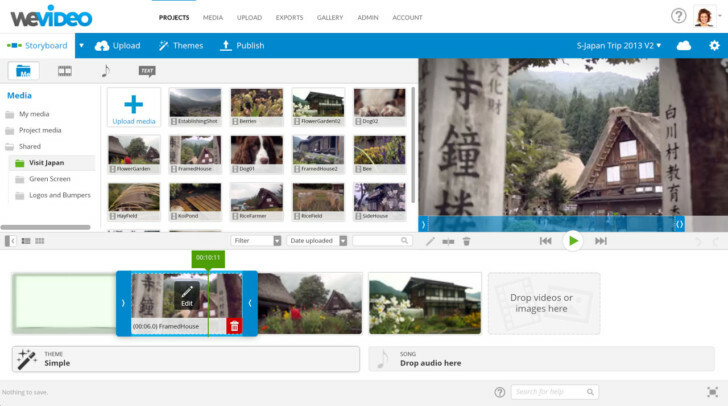 WeVideo is an online video editor, no download is required to use it like everything that we use in the cloud today. We’ve read emails online, store our backups in cloud storages, as well as task management, image editors, and just about everything else that you use your computer for in the cloud. WeVideo also adds one more type to the whole picture: an online video editor where no download of any kind of software is necessary. The one obstacle that could make such online video editor to work hard is that all of your raw video material need to be loaded into the editor. Even three-minute video could take hours of raw footage to be created. While many internet users have connections with low upload than download rate, they might be uploading footage for hours to the service prior they can even start editing it. Thankfully, WeVideo offers smooth connectivity with Dropbox and other kinds of online file storage services making this not a big problem. When I records video with my smartphone, it is uploaded to Dropbox seamlessly. Of course this takes time, but I don’t need to do something special or care about it somehow. It’s done automatically. As soon as the files are in the cloud storage, the only thing i need to do is to direct WeVideo at them, and it grabs the video material into the editor right away. Uploading a gigabyte of video to WeVideo takes less than ten minutes, after it got to Dropbox. As soon as your footage is in the editor, the further editing adventure is easy and enjoyable. 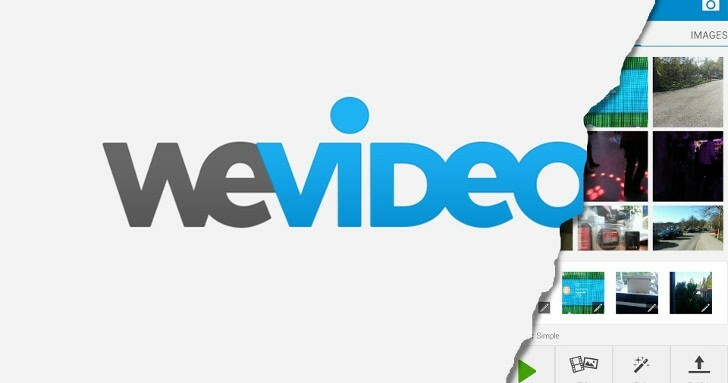 WeVideo provides a timeline for you to drag your video clips to. It is simple to trim clips as necessary and add transitions. There is also a rich library of soundtracks for you to use in you video. Adding other effects like fading audio in/out also takes few clicks, and the entire interface looks responsive and should be comfortable for anyone who has experience with desktop video-editing applications. As soon as we talk about online video editor we need to mention such an advantage as collaboration: You can welcome your pals to upload their video to your project, and even make various edits based on the same footage. I thinks that such kind of collaborative workflow is one of the service’s main selling proposals. After you finished editing, you can export your masterpiece somewhere. If you use the service for free, you can only export it at low resolution (480p) and with watermarks. Its understandable, but it would be better if WeVideo could make it more clear during the registration process, instead of revealing only when you’ve completed your editing and ready to export the video. You can easily join WeVideo to YouTube and some other video-sharing services, so you don’t need to download the file to your machine and then upload it back to YouTube – WeVideo will do it all by itself. So if you are looking for online video editor no download or if you need to work on a video project within a distributed team, WeVideo offers essential pros and will allow you to share the raw video material and your edits in ways that are difficult with downloadable software. It can be also useful for some periodic personal projects, but you need to be ready to upload your footage to the cloud prior to editing.